As a citizen of one of the greenest nations on the planet, I am very happy to learn that the leaders of more than 170 countries are meeting at the UN Headquarters in New York today to sign the Paris Agreement on Climate Change coinciding with the 46th International Mother Earth Day. This is a clear indication that the voice of the Paris Climate Summit held in December 2015 was loud enough to inspire and motivate many world leaders to action. As the Paris Agreement on Climate Change is being signed, many countries observed the International Mother Earth Day today on the UN theme: “Trees for Earth”. Since 1970, 22nd April has been designated as Earth Day to channel human energy towards environmental issues and highlight the importance of saving the planet Earth by planting trees. The world commits today to plant 7.8 billion trees within the next five years. This means that by the time we observe the 50th International Mother Earth Day, our planet will be much greener than it is today. The impact of climate Change is noticeably felt everywhere around the world today. Because of global warming, the glaciers in the high mountains are fast melting and the rivers are swelling and rising. As a result, natural disasters such as flash floods, landslides, soil erosions and so on are becoming common. In other parts of the world, famine and drought due to excessive heat or lack of rain are causing starvation for millions of people. So, it’s now high time that we start doing something to combat climate change. Addressing climate change must be a collective effort and this is exactly what the world leaders are gearing up towards today. Bhutan has been very conscious about sustainable and healthy environment probably right from the beginning of its history and it’s a matter of pride for all of us in Bhutan today that we still have more than 72 percent of our total land area under forest coverage. We have been blest with visionary Kings who have always been concerned about promoting and preserving our pristine environment as part of the national efforts to ensure self-reliance and self-sufficiency in natural resources. Even our Constitution guarantees 60 percent of forest coverage at all times which definitely makes this part of the globe greener and safer for our future generations. Bhutan continues to plant hundreds and thousands of new trees every year particularly on June 2 coinciding with the Coronation Day of our Champion of Earth, His Majesty the Fourth King Jigme Singye Wangchuck. This way, the trees that we fell or those trees lost to forest fires are easily replaced and we continue to grow greener. Nevertheless, we are also not spared from the impact of climate change. Our snows in the high mountains are melting making our glacial lakes vulnerable and delicate. We are worried that if all our glaciers melt someday, our rivers would dry up and the mega hydro projects that have been the primary engine of our economic growth today would freeze. So on this special day of International Mother Earth Day, it’s very important for all of us to reflect on how we can contribute, in our own small way, to the conservation of our natural environment. If each of us could take care of our own environment, the world would be definitely as green and pristine as we want it to be. Trees are the real lungs of our Mother Earth because they take in harmful gases such as carbon dioxide, nitrogen oxides, ammonia and so on, and give back fresh oxygen for us to breathe. They also clean up the air by filtering dust particles through their leaves and barks and increase habitat connectivity for wild animals and birds between regional forests. Besides, they also provide us with food, energy and income. For ages, they have been the main source of livelihood for people around the globe. Hence, each tree deserves our deep respect and love for what it gives us. Therefore, let us continue to respect our natural environment and keep planting new trees to save our Mother Earth from natural disasters. It is our sacred duty to hand over this planet to our sons and daughters as green as we had received it from our forefathers, if not more. Let us make a commitment today that we will never cut down trees unnecessarily and that we will be always careful with fires in the forests especially during dry seasons. Let us love Mother Earth as much as she loves us. Happy International Mother Earth Day to all those who love and respect this beautiful planet. 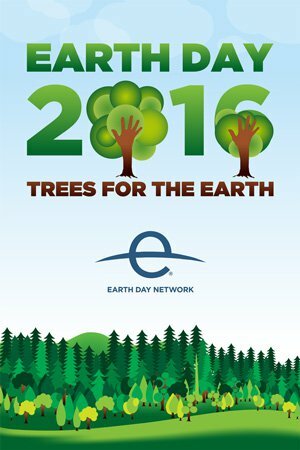 I definitely support all this EARTH DAY and their pledges to green our earth. Our earth is so sick now with the global warming, ozone issues and dangerous pollution levels. Many countries esp China is suffering today from acute pollution and smog issues in many cities. Tourists got choked and could not even snap nice photos anymore as everything turned out blurry & grey. I wish to live in Bhutan! !